You are in your main office, your headquarters, working on a Monday. In one of your satellite offices across the country, the team has just hired a new sales manager. This is exciting for everyone! You’re all jazzed about the contribution that she will be making, and the impact that she will have on productivity. However, you now have to grant her physical access to the office. You use a fancy new keycard system to replace the clumsy and unreliable lock and key of yore, but all access cards have to be assigned at headquarters. You then have to create a card, and somehow overnight it across the country and hope that it gets there on time so that she has as smooth a first-day as possible. As it turns out, there are many things that could go wrong here. The first is shipping — while the U.S. postal service is quite reliable, and most major carriers don’t lose or damage packages very often, there is still a small possibility that it could happen, and that could mean a pretty unpleasant first day for your new employee. There’s also the chance that once the card gets there, it won’t actually work. Bluetooth and NFC are good technologies, but are not immune to human error, so if someone accidentally provisioned or sent the wrong card, or made a mistake somewhere in the process, the card simply won’t work, and you’ll have to send a new one. Now let’s assume that your sales manager received the card, and it was provisioned properly. How will she know how to use it? You’ll likely either have to send her a paper document that explains it, which is annoying, or get on the phone with her and talk her through it, which is impractical. It seems like there should be a solution to all these issues, and thankfully there is, with modern mobile-based access control. With modern access control, the solution is pretty straightforward — you can use your phone as an access credential to open doors. 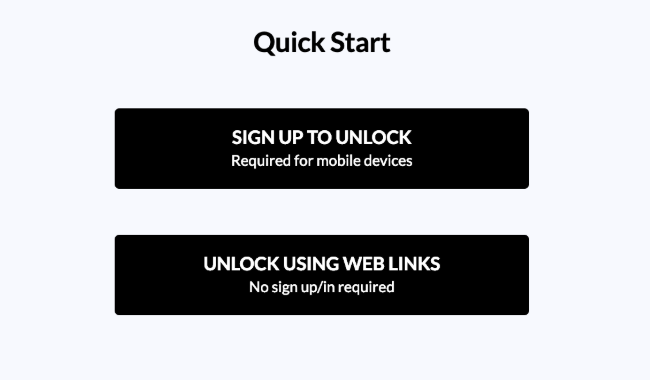 A significant advantage of these modern mobile-first solutions is that you can grant access to a new user anytime, anywhere, just by using the web interface of the access control provider. 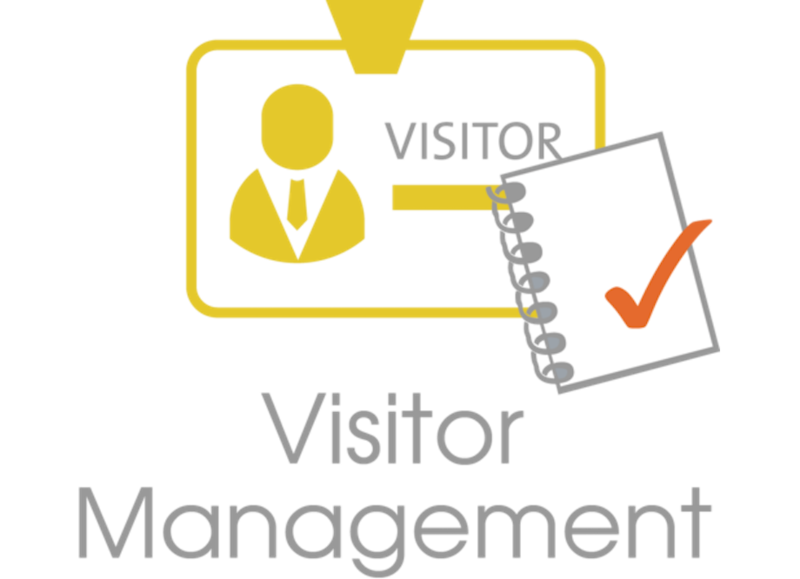 This makes the process of hiring and onboarding new members so much easier: All they have to do is install the app on their phone, create an account, and as soon as that’s done, an admin can add them to the relevant organization and grant access to all the places they should have access to. The setup process for the new team member is very simple as well. They will receive an email with a link like the following image, and detailed instructions will follow for creating their account and using the app. 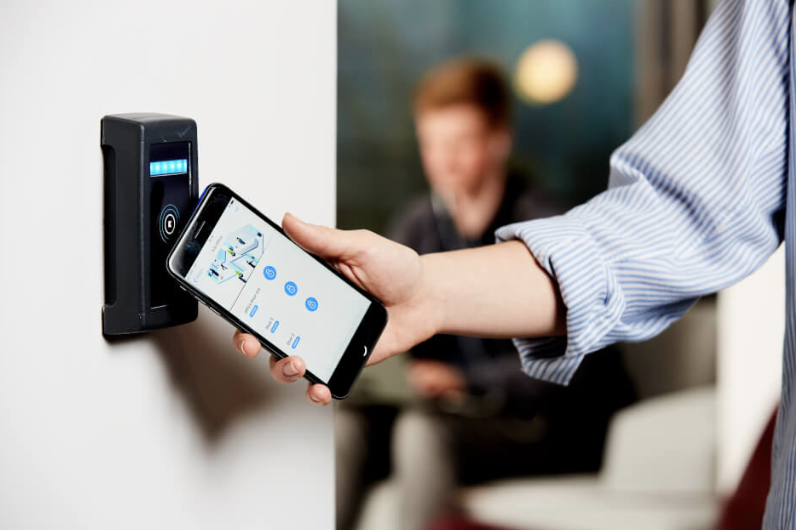 Many modern access control companies that are moving towards a mobile-first solution will have the readers and controllers managed from an app interface on iOS or Android. Through this interface, you can monitor all the locks and doors that are in your network, and unlock any of them, given that you’re in Bluetooth range. You can also use your phone as a keycard, in the most literal sense, meaning you can physically tap it against the reader to unlock the door. Using NFC and Bluetooth technology, companies like Kisi allow their customers to mimic the motion of tapping a keycard to a reader with their phones and unlocking a door that way. If you want to simplify the process even further, you can take advantage of one of the exciting new areas of innovation in access control: Software integrations. Providers like Kisi have integrated with active directories like Azure AD or Google Directory. With these integrations, you can simply add new members to whatever directory you’re using, and as long as you’ve linked the directory to your access control account, it will automatically sync on a regular basis, so that as soon as you update your directory with the new member, they will be added to your access control group and given the sign up link via email. With innovations in access control providers and the power of IP technology, there’s really no need to deal with all the issues that have plagued access provisioning in the past. No need to rely on the postal system, or on everything being done properly the first time. You can simply control everything from a web interface, and have your employees use their mobile app and smartphone for all access needs.